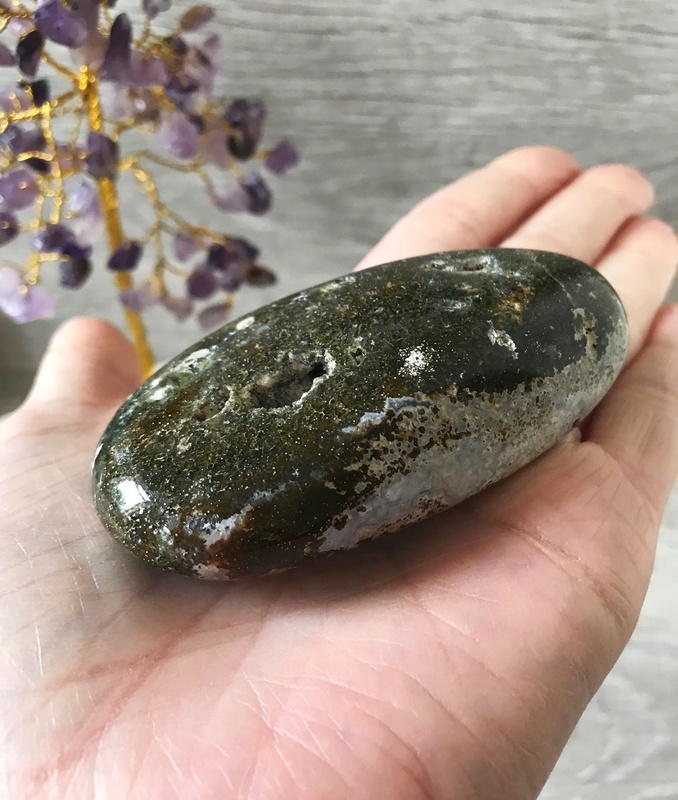 Ocean Jasper was discovered in Madagascar at the millennium and it is said to be connected to atlantis. The pattern symbolises the interconnectedness of all, encouraging journeying and supporting service to humankind. Releasing negative feelings making you feeling more optimistic and hopeful, great if you need some up lifting. 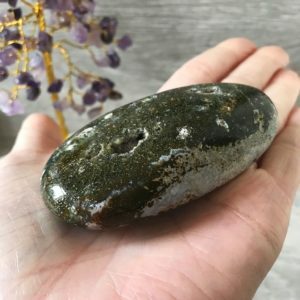 A positive stone, helpful if you are suffering from depression, anxiety or stress. Renewal, detoxifying, stress, circular breathing, service responsibility, patience, immune system, circulation, debilitated internal organs,PMS, insomnia, tumours, gum infection, eczema, cysts, colds, body odour, electromagnetic and environmental pollution, radiation, stress, prolonged illness or hospitalisation, circulation, digestive & sexual organs, balancing mineral content of the body, emotional trauma, self confidence, concentration, perception, analytical abilities, aura, stabilisation, negative energy transformation, emotional disease, gastritis, eyes, stomach, uterus, lymphatic system, pancreas, blood vessels, skin disorders, immune system, bringing the body in to balance.